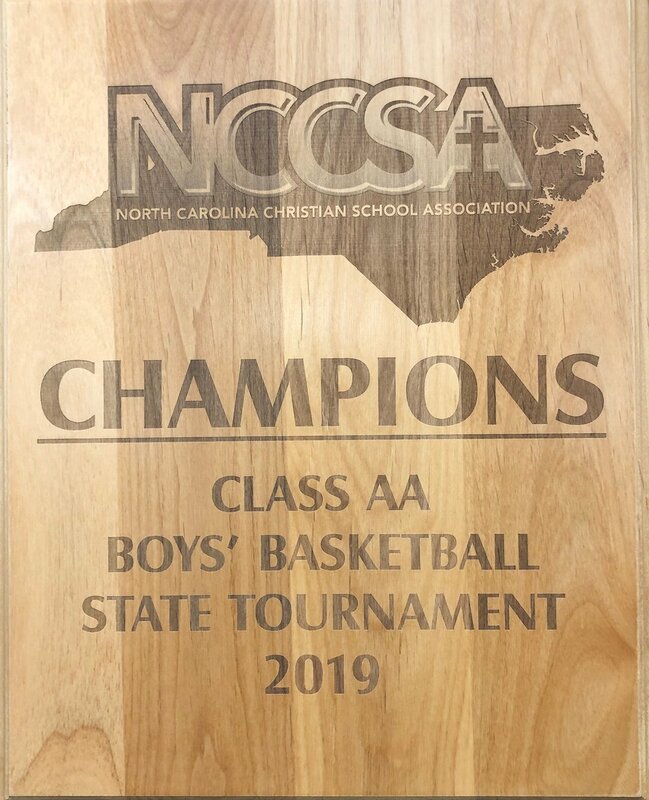 Excalibur Group is very fortunate to call the North Carolina Christian School Association (NCCSA) one of our valued clients. We produce awards, plaques and recognition items for their athletic and academic state competitions which are then awarded to deserving students athletes and scholars across the state each season. Genuine Red Alder plaques are a “rustic” but contemporary award plaque style that comes in a variety of sizes and can be laser engraved with your logo and personalized with the details for each recipient. CONTACT US today for assistance with your next awards and recognition project.